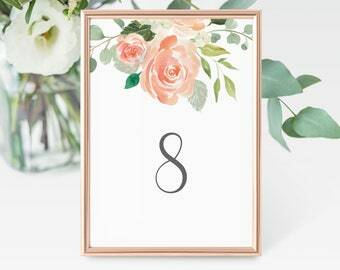 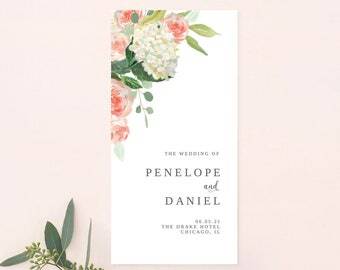 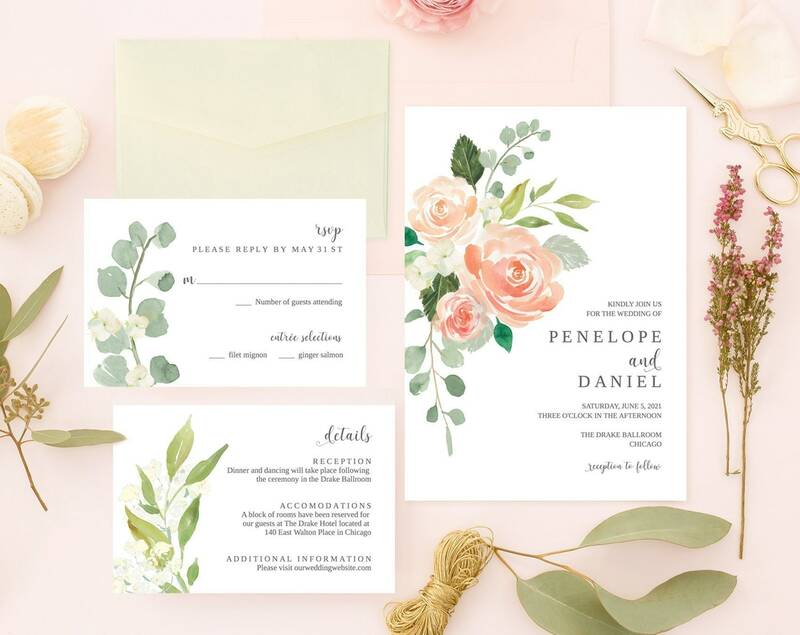 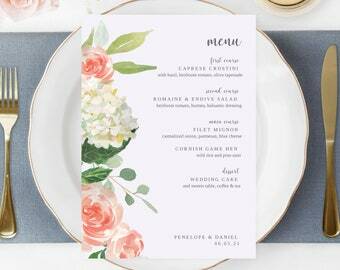 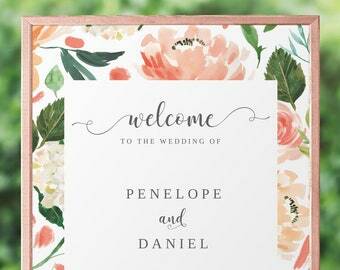 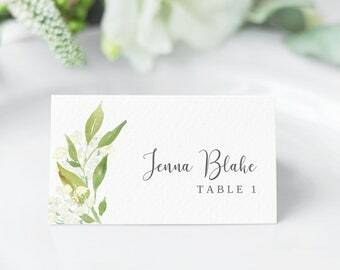 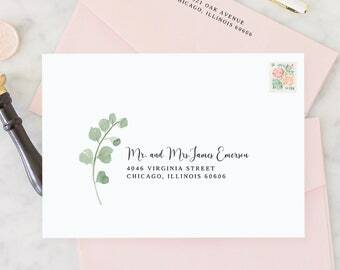 This wedding invitation set features blush, pink, and green watercolor floral designs. 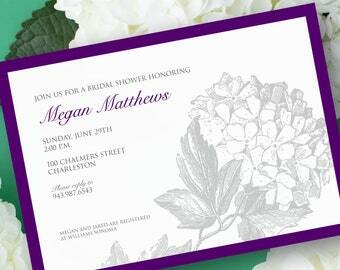 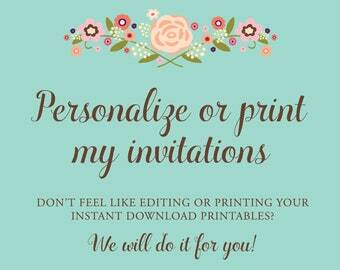 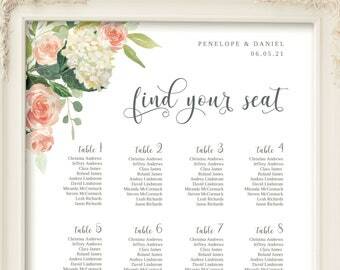 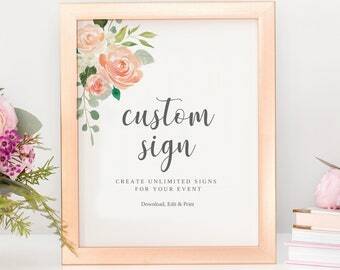 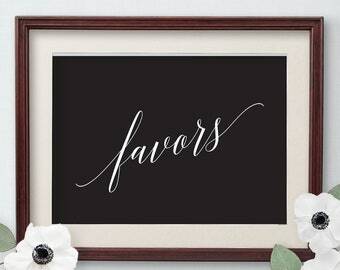 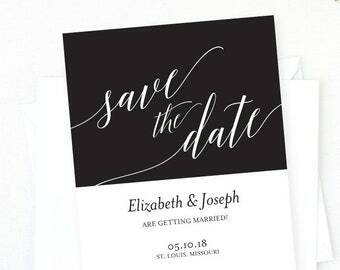 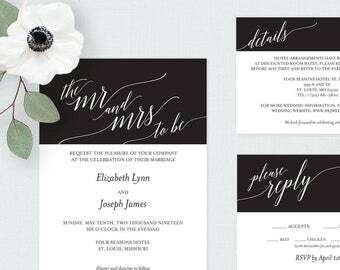 This instant download, editable template set includes an invitation, RSVP and detail card. 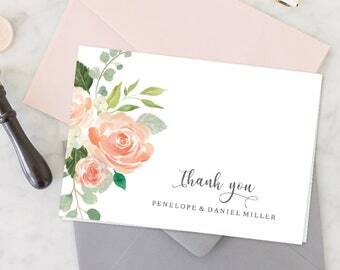 RSVP Card with optional postcard backer: 5x3.5 "